For most of Wednesday, the entire island of Puerto Rico was without power. A blackout swept the U.S. territory Wednesday morning after an excavator hit a transmission line, severing power for 1.4 million people. It is the first island-wide outage since Hurricane Maria made landfall Sept. 20. The island had two sweeping power outages in less than a week. Authorities had restored all electricity by midday Thursday. But the blackout was the second sweeping power outage in less than a week. Last Thursday, a single tree fell on a power line in the southeastern town of Cayey and knocked out power for 840,000 people across the island, state power authority PREPA reported. The line has failed a few times before, causing other outages. Puerto Rico Gov. 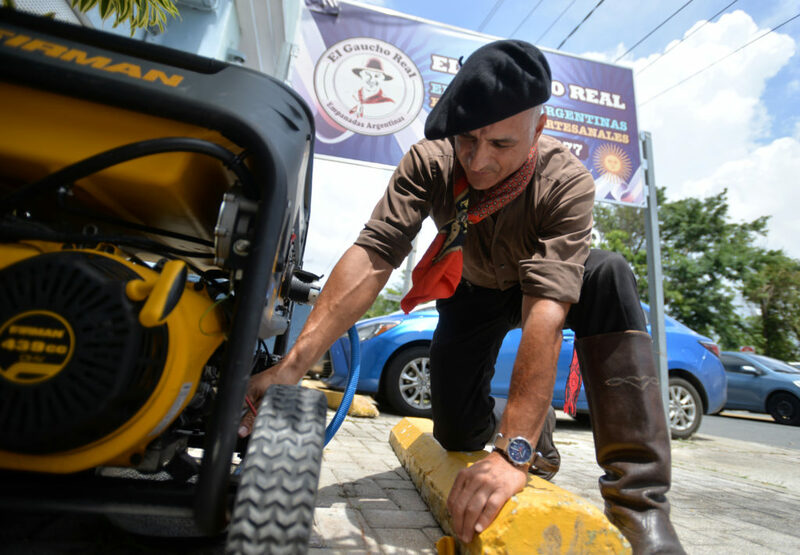 Ricardo Rosselló said in a statement that the power authority should cancel their contract with a power subcontractor who he said was responsible for both outages. Before the recent outages, more than 96 percent of customers on the island who lost power during Maria had electricity restored, according to PREPA. But more than 40,000 residents have been without regular electricity in the last seven months. Here’s a look at where recovery across the island stands. Utility crews working on the island are still in emergency restoration mode, seven months after Hurricane Maria bombarded Puerto Rico, federal officials said in a hearing before Congress last week. Local and federal workers have been scrambling to rebuild Puerto Rico’s power grid before hurricane season begins again in June. On Wednesday, some House Democrats sent an open letter to Federal Emergency Management Agency administrator Brock Long asking him to extend the U.S. Army Corps of Engineers time on the island so it can continue fixing power lines. Currently, USACE is scheduled to withdraw personnel May 18. Testifying before the members of Congress last week, Bruce Walker, an assistant secretary with the Department of Energy, said it would cost $17.6 billion to rebuild the U.S. territory’s power structure. Federal authorities said they will have a plan to strengthen and stabilize the power grid by June. Walker also said authorities are looking into renewable energy as part of the plan. The Stafford Act requires all U.S. power grids and infrastructure be rebuilt in the same form they existed before a natural disaster strikes, but there is a grassroots movement to increase solar power on the island. Rosselló said the outage reveals power grid issues beyond just rebuilding the status quo. He specifically mentioned microgrids, self-sustaining electricity distribution networks that use renewable energy like solar power. When blackouts strike the island’s main power grid, microgrids stay online. “This is another example of why Puerto Rico’s energy infrastructure needs to incorporate new forms of power,” he said. 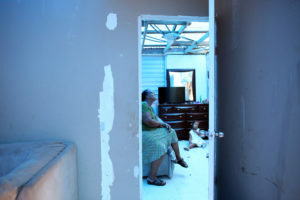 Samuel Vasquez rebuilds his house, which was partially destroyed by Hurricane Maria, while his wife Ysamar Figueroa and their son Saniel look on at the squatter community of Villa Hugo in Canovanas, Puerto Rico. REUTERS/Carlos Garcia Rawlins. Long has said it will take at least $50 billion to rebuild infrastructure destroyed by Maria. 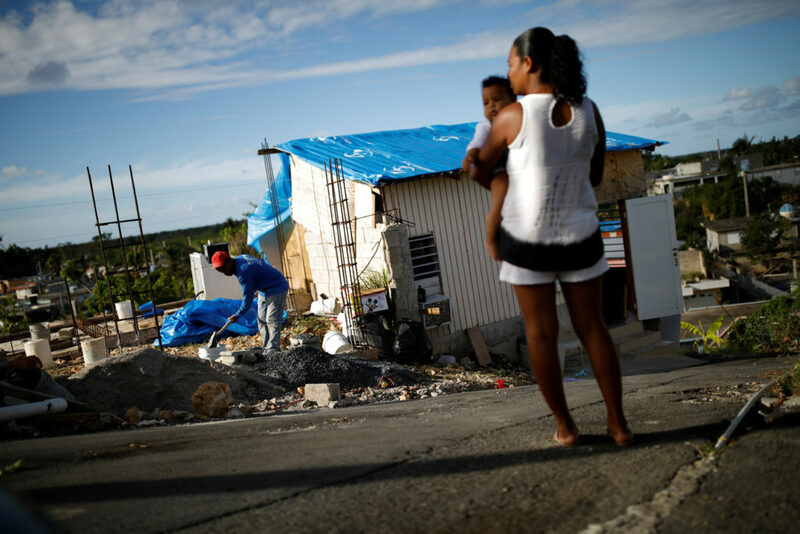 As of April 1, FEMA has allocated more than $10.5 billion in aid to Puerto Rico from the agency’s disaster relief fund as the island recovers from Hurricanes Maria and Irma, according to FEMA spending reports. It’s given more than $1.1 billion of that funding to hurricane survivors for rental assistance, home repairs and other individual recovery efforts, and spent $1.4 billion in grants to rebuild infrastructure, hospitals and other public facilities. That number does not include the grants from the Department of Housing and Urban Development, which announced last Tuesday that it had awarded a $18.5 billion grant to the island for housing, economic stability and infrastructure, the largest single grant HUD has issued.The department awarded an additional $1.5 billion to Puerto Rico in February for disaster recovery. Apart from HUD funding, FEMA has approved about 450,000 of the 1.1 million applications from families who have applied for assistance since September. 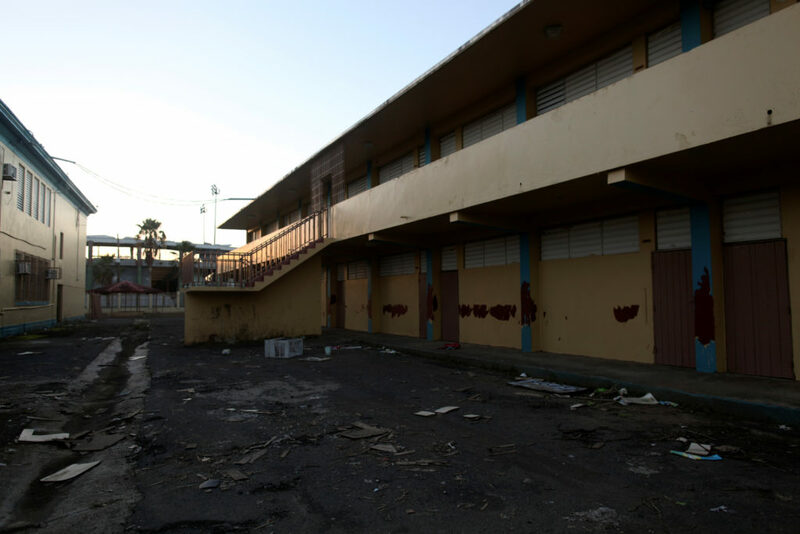 Nearly seven months after Maria made landfall, 2,758 families are in FEMA-sponsored short-term housing across 34 states and Puerto Rico, according to FEMA spokesman Daniel Llargues. Of the families, 966 are in Florida and 711 are in Puerto Rico. FEMA has appropriated nearly $2 billion for the U.S. Virgin Islands in the aftermath of Hurricanes Irma and Maria. Texas and Florida have received more than $5.2 billion and about $2.5 billion from FEMA’s disaster fund since hurricanes hit them, monthly FEMA reports show. FEMA has come under scrutiny for contracts it issued for tarps and sheeting for emergency home coverage immediately after the storm. On Tuesday, Democrats on the Senate Homeland Security and Governmental Affairs Committee released a report saying that FEMA awarded contracts without adequately vetting the companies and that it did not allow sufficient competition in the bidding process. The report also said that a third of the contracts issued — totaling $73 million — were cancelled. “Once again we’ve seen massive contracts awarded to individuals and companies that would seem to have no capacity to deliver,” Missouri Sen. Claire McCaskill, the top ranking Democrat on the committee, said in a statement. FEMA disagreed with the reports findings. “We reject the notion that there was a failure in our contracting process. Almost 2,000 contract actions from June to Feb to support response to these disasters and less than 0.002% were terminated for cause,” FEMA spokesman Llargues said in a statement to the PBS NewsHour. Earlier this month, Puerto Rico’s education officials announced the closure of 283 public schools for the next school year. The island will begin the fall school year with 827 operational facilities. Puerto Rico Education Secretary Julia Keleher told the NewsHour she is not happy about the closures, but that consolidating schools is necessary to maximize the dearth of resources strained by the storm. “[A]t the end of the day kids don’t have the opportunity to learn and so someone has to be responsible for doing something about that,” Keleher added. Nearly 40,000 students have left Puerto Rico’s schools since May 2017, Keleher said. Some of them have dropped out, while others have come to the mainland U.S. Almost half the schools are at only 60 percent classroom capacity; under-enrollment is a problem that Keleher said has existed for the last decade. Between 2010 and 2015, the island closed 150 schools. Last year, it announced it would close 179, due to a lack of enrollment. When Hurricane Maria hit last year, it compounded the existing problems of under-enrollment and school closures, Keleher said. Hoping for federal assistance, Puerto Rico’s Education Department submitted an application last month for funds from a program called “Restart.” The program,created in the wake of several natural disasters across the U.S. last year, is awarding state education departments federal dollars based on their needs. States can then distribute the funding to their local schools. Money for the program comes from a $2.7 billion Education Department appropriation in February’s government spending bill. The aim of the program is to help schools rebuild resources destroyed by the 2017 hurricanes. But Puerto Rico can also use the funds to invest in new communication technology and digital textbooks for its schools, Keleher said. The island is awaiting a decision from the Department of Education on their “Restart” grant.